Will the SEC Force More Campaign Finance Disclosure? Publicly traded companies should have to disclose their political giving, for the good of investors and the campaign finance system. We’ve long been covering pressure by good-government groups on the Securities and Exchange Commission to require publicly traded companies to disclose their campaign spending, which, thanks in part to Citizen’s United, remains behind an impenetrable wall. Right off the bat, such a requirement is simply good policy for investors. As we saw when Target was exposed for contributions to anti-gay politicians in Minnesota, political giving can be dangerous for companies because they’ll inevitably end up alienating customers—maybe a lot of them. So investors have the right to know what risks are being undertaken. But beyond that, there’s a strong belief among reformers that more disclosure ultimately leads to less corporate influence in elections, for that same reason. (There’s a reason why very few corporations give to SuperPACs, which do disclose donors, and instead prefer the lockbox of a 501(c)(4) operation). The big news is that SEC quietly announced last month that it will consider that rule this year. This came after a sustained campaign, spearheaded by the Corporate Reform Coalition—composed of labor groups, progressive organizations and government watchdogs—that resulted in over 320,000 public comments asking the SEC to act. It was the most comments the SEC had ever received on any potential rule. The proposed SEC rule-making will be released by April. A little less than a year ago, one SEC commissioner publicly backed the rule, meaning that only two more need to join his side for the rule to pass. 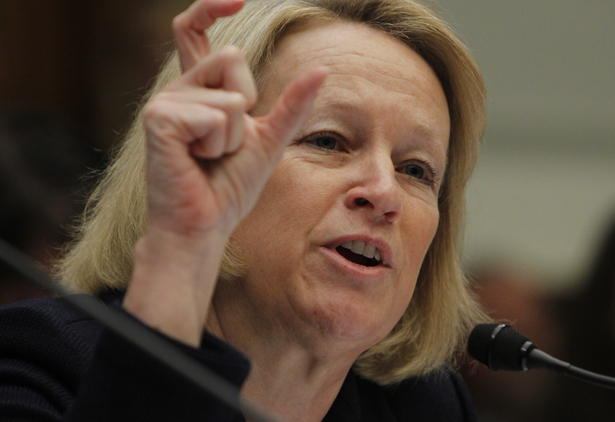 Gilbert noted that getting this rule through would be an excellent way for outgoing SEC chair Mary Schapiro to cap her tenure, and insisted that the incoming chair be supportive of the proposed rule. Previously, George Zornick took stock of Democrat gains and losses in the fiscal cliff deal.